This home is an excellent value! 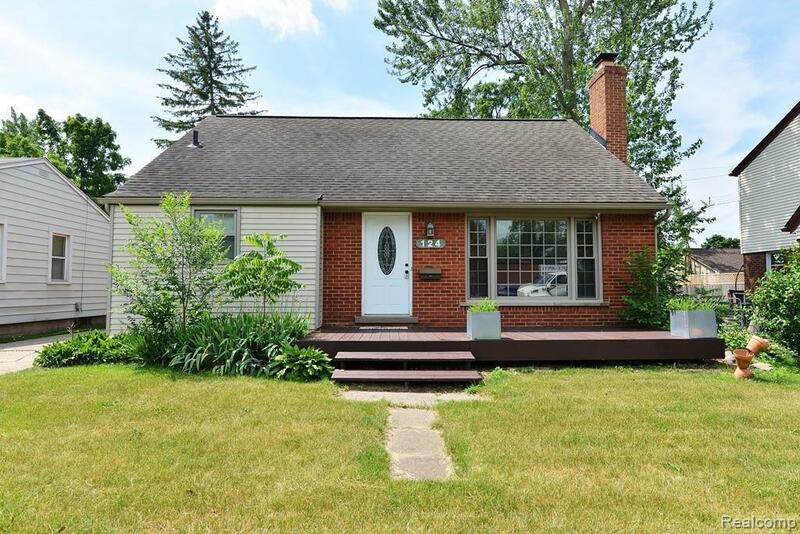 Four bedroom two full bath Cape Cod centrally located in Royal Oak, close to both Birmingham and Clawson; shops, restaurants and more. Large living area with gorgeous re done oak hardwood flooring, anchored by brick surround fireplace; large picture window. Updated and modern kitchen with granite counters, ceramic back splash and newer stainless appliances. Two bedrooms on main floor with updated bathroom; two bedrooms on upper level with updated bathroom. Large unfinished basement with tall ceilings offers lot of potential for entertaining, working out, storage or whatever you would like. Large tiered deck great for family barbecues and entertaining! Large backyard with privacy fence. Detached 1 car garage with new garage door in 2017. Newer: windows, furnace (2017), AC (2017), hot water tank (2017). Freshly professionally painted in 2018. Recently updated insulation to R 20-35 in 2017. This home will not disappoint you! A great value this price!